Home sellers, can you relate? 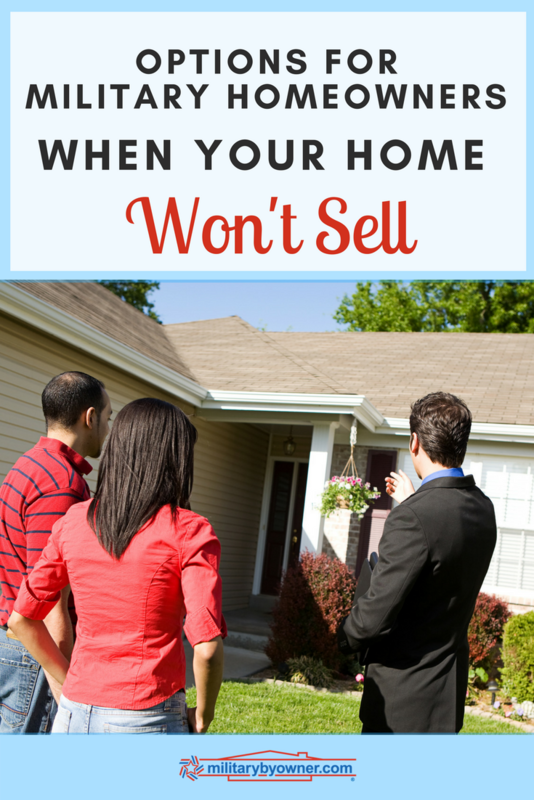 After some months on the market, your home is just not attracting the buyers you’d hoped for. An impending PCS date is creeping up, and the need to sell is becoming more urgent. Although you thought you did everything right to prepare and advertise the house the first time, there’s likely some improvements that could be made if you dug a little deeper and adjusted the marketing plan. If you've determined you’ve done all you can do to ensure a successful sale and the house still remains on the market, there are options to move forward. Alternate selling scenarios need thoughtful consideration because they aren’t ideal, but some choices are less drastic than others. Military members working on a tight timeline or in a situation where a PCS has dictated a move while the house is undervalued will feel their choices are even more limited. Here's some guidance for revamping your home selling strategy and determining the best alternative if you cannot sell your property! Before drastically changing your selling tactics, ask yourself these questions. Determined the correct asking price for your home? Houses linger when the price is too high. Created and executed the best marketing plan possible? Clear photos are everything to buyers. Decluttered, cleaned, and freshened the exterior curb appeal? Poor showings lead to zero offers. Considered the expertise of a professional home stager? They are well worth an initial consultation. If you’ve answered yes to all of questions and feel the only way to achieve a sale is to make major changes, then read on--there are more options to consider. Interview for a new real estate agent. Maybe you were initially pressured into using your cousin’s brother’s daughter as representation. This time, invest energy into finding a professional who's at the top of their game and comes highly recommended, multiple times, from friends and family. If you did properly vet the first agent, and the outcome was a frustrating no sale, consider outside factors you have no control over. As you look for a new agent, be aware some might be interested in telling you only what you want to hear because they recognize your desperation to sell. The best agents will be honest and possibly suggest that your marketing plan is lacking and offer to show you how they could improve it, or help revamp your timeline. Wait for a better selling season. There are dozens of reasons why a house doesn’t sell, but selling at the wrong time is a hard reason to swallow if a military relocation is dictating the move. Weather, holidays, too much inventory, and buyer demands are just a few of the explanations. After all, how can homeowners predict when their market is hot? Sometimes, it makes sense to wait on the sale. The agent can also help devise a new strategy for waiting, which could include becoming a landlord or finding tenants who are interested in a rent to own situation. 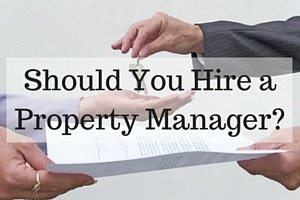 Becoming a landlord is common and often a likely scenario for military homeowners. The lack of a home sale revolving around a PCS date is a big factor, but some service members consider real estate as a part of their overall investment strategy, while others plan to return to their rental property at some point. Although taking on renters is a popular option, it isn’t a process where landlords can remain hands off. To ensure a successful tenant relationship, landlords need to be prepared financially and legally in case of circumstances caused by neglectful tenants or a multitude of other factors from pest infestation to faulty appliances. Getting a new real estate agent, waiting to sell your home, and becoming a landlord are three possibilities to remedy a stalled home sale. There are other options that are less than ideal. These choices can stop a bleed in finances and perhaps help avoid a foreclosure. It's best to get professional financial and real estate guidance when considering these last resort options. Sell for less than market value. You might believe you've set best price already, but it’s time to scrutinize the money trail once again. At this point, breaking even is the best option, but getting close to that number is also a good place to be. Selling for less than market value is never the best choice, but sometimes it’s the only solution that works during a constrained time frame or stressed financial situation. There will always be bargain hunters out there, so prepare for the transaction to occur quickly. Individual buyers aren’t the only ones interested in a great deal; real estate investors and companies who buy homes in distress are ready to make an offer as well. The thought of an additional mortgage seems counter intuitive, but for homeowners trying to sell because of financial difficulties, a second mortgage could generate cash. Home equity loans and refinancing mortgage rates are possibilities, but conferring with a financial professional is recommended. At best, another mortgage should be viewed as a quick fix that shouldn’t be depended on to rectify larger issues. The Home Affordable Refinance Program (HARP) was created in 2009 by the Federal Housing Finance Agency as part of the Making Home Affordable program. HARP assists homeowners whose mortgages are underwater to refinance into more advantageous mortgage terms. The deadline to apply for refinancing through HARP has been extended to December 2018. When your home is worth less than the mortgage and buyers are nowhere in sight, a cautiously considered short sale could be the answer. A "short sale" occurs when a home is sold for less than the amount due on the mortgage, sold as is. Veterans United provides some guidance to understanding a short sale: 5 Tips for Buying a Short Sale. Although it's recommended that a short sale should be avoided, there are advantages versus perusing a foreclosure, especially for a military member who is concerned about the revocation of a security clearance. A successful short sale is noted on the owner’s credit report as a pre-foreclosure redemption. This may impact the credit score negatively, but after the sale, the status of the short sale will change to discharged. If all goes well, the owner may apply for another mortgage in about 18 months. The Federal Housing Finance Agency (FHFA) helps military homeowners with mortgages owned by Fannie Mae or Freddie Mac. In 2012, changes were made to provide for hardships incurred because of a PCS. Eligible for a short sale immediately, regardless if current or past due on their existing mortgage. Exempt from deficiency judgments from Fannie Mae and Freddie Mac if they receive permission for a short sale from the FHFA. Relieved of any request or requirement for a cash contribution or promissory note so long as the property was purchased on or before June 30, 2012 (to apply personal assets to cover the shortfall after outstanding unpaid principal balance and sales price). Additional information for alternate programs for military members is available at 800-2FANNIE (800-232-6643). The Home Affordable Foreclosure Alternatives (HAFA) is a federal program that recognizes a PCS as a hardship and could offer another solution for a short sale in addition to making an effort to avoid foreclosure. But, as with FHFA, the mortgage must be backed or owned by Freddie Mac or Fannie Mae. The mortgage must have also been dated on or before January 1, 2009. If you meet these criteria, read on for the other necessary qualifications and eligibility. There is a documented financial hardship. The first mortgage is less than $729,750. You cannot have been convicted within the last 10 years of felony larceny, theft, fraud, forgery, money laundering, or tax evasion in connection with a mortgage or real estate transaction. In 1966, Congress enacted the conventional version of the Homeowners Assistance Program (HAP) in effort to mitigate the negative effects base realignments and closures (BRAC) had on service members' ability to sell their homes for market value. The HAP offered relief for those who experienced a financial loss while selling their primary residence during a BRAC process. Later in 2009, HAP was expanded under the American Economic Recovery Act. Before the enactment, another round of BRAC changes occurred and coincided with a significant economic down turn in the United States. Service members across the country endured major financial losses due to mandated PCS relocations and the downturn of the real estate market. The expanded version of the HAP included protection for service members who had to sell their homes due to a PCS for less than they were worth. The expanded plan also provided coverage for wounded or ill military members who had to leave service and their surviving spouses. Under the Department of Defense, the HAP is operated by the U.S. Army Corp of Engineers. This is an excerpt further explaining the persons eligible to apply for HAP. 3) Surviving spouses of fallen warriors who move within two years of the death of such employee or member. If you do not qualify for HAP, the Army Corp of Engineers suggests seeking alternative support from Making Home Affordable, an official program of the U.S. Department of the Treasury and the U.S. Department of Housing and Urban Development. Given the current recovery from the housing industry’s downturn, it’s hard to believe that some military homeowners have the poor fortune of not being able to sell their house. But circumstances such as a local market not supporting qualified buyers or other factors are possible. The owner may not have maximized all the the opportunities to sell their home for the best price. Although a PCS timeline is challenging to accommodate, executing the best strategies to sell the home is crucial for making a timely sale. Ultimately, there are options for selling your home if the traditional methods haven't been fruitful. Before making the difficult choice to investigate a short sale or becoming a landlord, review tried and true standards for selling your home quickly and lucratively.